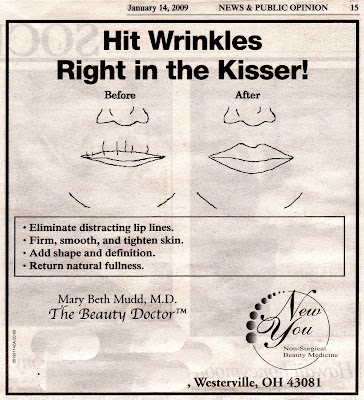 My favorite local "Non-surgical Beauty" medical doctor is up to some real advertising gold again. It looks like in the first photo, the person has wrinkles or hair or worms on their upper lip. In the second photo, some defoliation has taken place. I like making money, just like Dr. Mudd, so I decided to start my own cancer treatment. 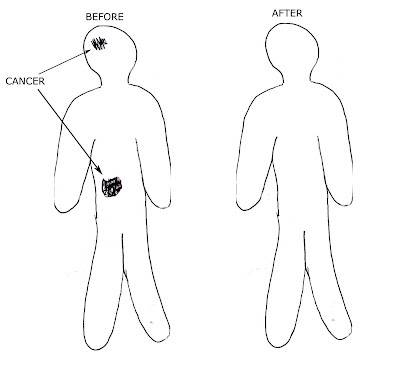 To prove its effectiveness, I have posted these scientific diagrams of ACTUAL CANCER TREATMENT. You can see from the scientific drawing, the cancer is 100% photoshopped out of the patient. The best part is that the treatment is 100% natural. And it only costs $4,000,000.00.